The Sheriff’s Office understands the importance of the special training involved when responding to a law enforcement call for service that involve mentally ill and/or mentally disabled individuals in crisis. Over the last 40 years, changes in mental health laws, closing of mental health facilities and law enforcement policies have brought law enforcement officers into ever increasing contacts with people who suffer from mental illness. 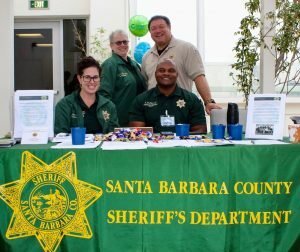 Local Santa Barbara County Law Enforcement officials have estimated that anywhere from 15- 45% of all calls for service involve some type of contact with a mentally ill subject. People suffering from mental illness such as those with schizophrenia, those who are psychotic and sociopathic, respond differently to communication than healthy mentally sound individuals. The Sheriff’s Behavioral Sciences Unit was formed to oversee cases involving mental illness, to develop a Crisis Intervention Team and to build community partnerships to help adopt restorative justice principles to divert individuals from the criminal justice system and into appropriate services. The BSU has collaborated with our mental health agency, local hospitals, NAMI, private non-profit support groups and other local law enforcement agencies to develop training programs and assist law enforcement and community members involved in these types of calls for service. Our BSU developed an 8-hour P.O.S.T. Crisis Intervention Team course and a 40 hour P.O.S.T. course. To date, the BSU has trained over 650 law enforcement officers, custody deputies and dispatchers in the 8-hour course. We have trained 100% of our personnel in the 8-hour course and personnel and agencies in and outside of the county as well. 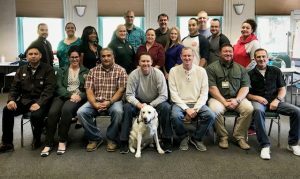 We also created a 40-hour CIT academy offered to California law enforcement agencies which allowed us to train our collateral Crisis Intervention Team who will respond to calls in the field with a better understanding of mental health issues and increased training on available services and more specialized de-escalation training.